Dimensions: H27 x W27 x D38 cm approx. 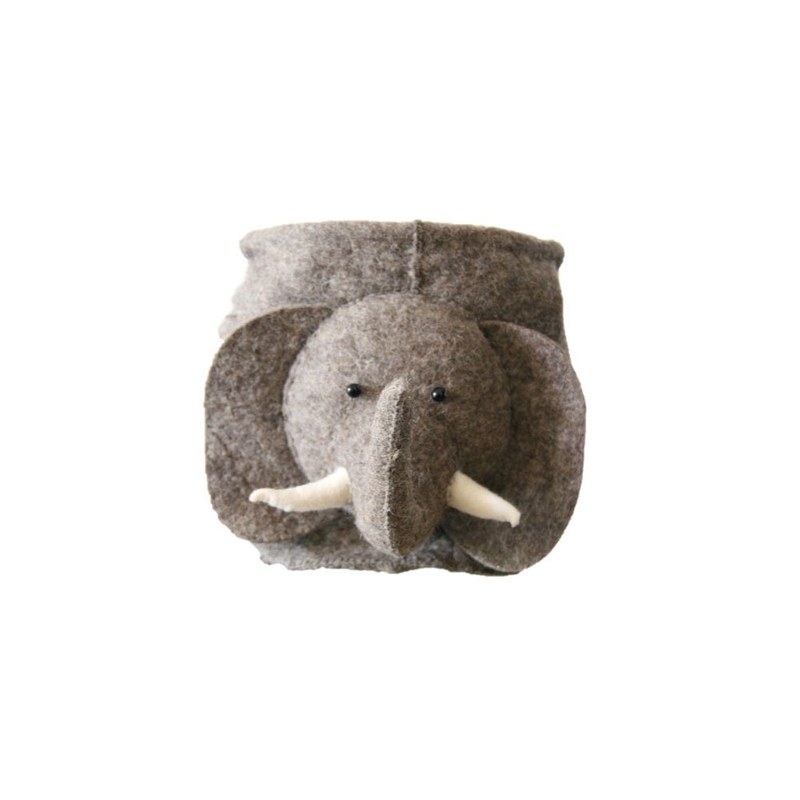 Keep your room tidy with the fun Elephant Felt Animal Storage Bag from Fiona Walker. This grey friendly elephant is ready to store your toys, clothes or secret things with a cheeky face in front, a tail behind and two hand holes on the sides. Made from felted wool, this handmade bag will be much admired in a child's bedroom or nursery and you can team it up with the matching mobile to make a lovely gift set.